Every object that FiberGirl Designs makes is unique - a result of our sustainable design and manufacturing process that uses upcycled clothing, textiles and objects. 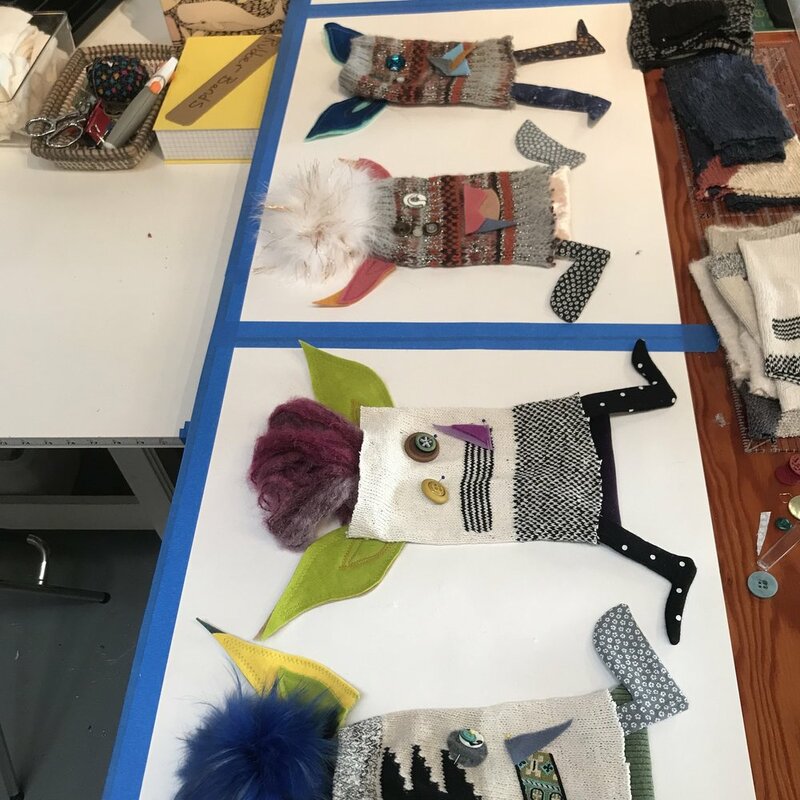 Textiles that we hsve curated, and some of our finished Squeebles! We curate interesting textiles and materials that catch our eye from local sources of upcycled and recycled materials - thrift shops, donations, local textile manufacturers. We look at the material we have, and are inspired to create a new design that enhances the properties of the original. Some of our Squeebles after being designed. Our founder, Rachael, carefully(?) assembling a squeeble! We hand-craft the item using local labor - in this case, our founder, Rachael!